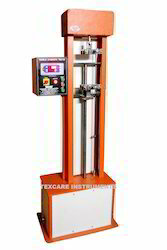 We are manufacturer and exporter of Rubber Tensile Strength Tester, Tensile Property of any type of Rubber can be check by these Rubber Tensile Strength Tester. We are One of the leading Manufacturers and Exporters of Rubber Strength Checking Machine ASTM D412. 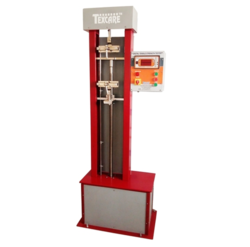 Tensile Testing Machine for Rubber is very High Precision machine used to determine tensile strength of any Rubber product. Dumbbell shapes, rubber samples are used as per ASTM and ISO standards.